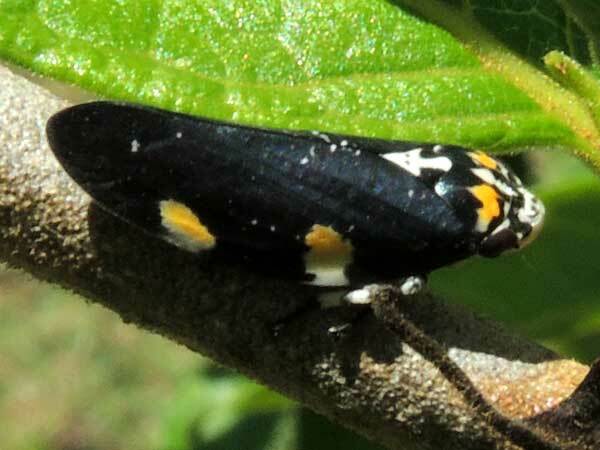 Observed on twigs of Vangueria, a woody Rubiaceae near Eldoret, Kenya, April 2013. 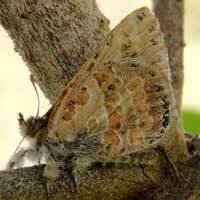 A Woollylegs butterfly was found in close proximity, one that appeared freshly emerged from its pupa. This is a predatory butterfly in the larval stage, so it seems reasonable that this cercopid is the prey! More investigation is warranted. 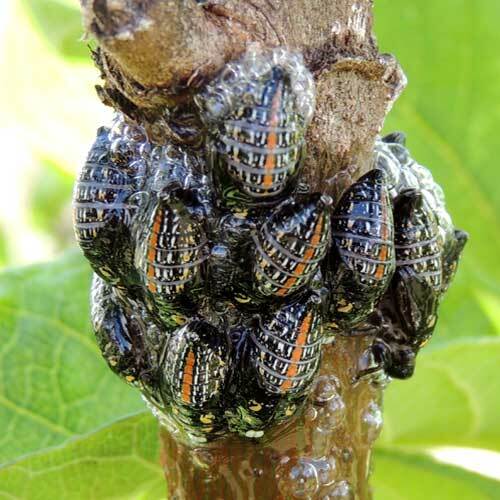 A mass of frothy bubbles partially hides developing nymphs (immatures) of spittlebugs, below. The adult, at left, appears to display aposomatic colors suggesting that some defensive chemical capable of repelling an insectivorous bird is sequestered in the bug. This adult is capable of jumping and flying away if need be and they have very good vision. Group of nymphs partly obscured by froth on a woody Rubiaceae near Eldoret, Kenya, April 2013.